(TibetanReview.net, Apr12’19) – The Dalai Lama has moved to a hotel this morning after being discharged from hospital after treatment for a chest infection and is expected to be back at his exile home in Dharamsala after a few days, said the Central Tibetan Administration on its Tibet.net website today. He had earlier flown back to New Delhi on Apr 9, only a day after returning from the city where he launched a major global education curriculum called Social, Emotional and Ethical (SEE) Learning. 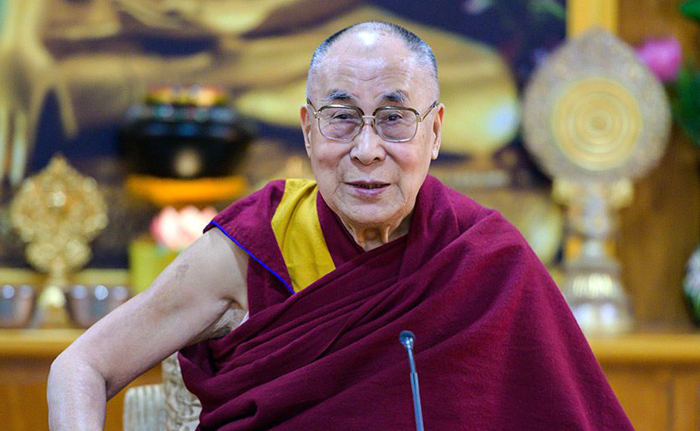 His Holiness the Dalai Lama has recovered brilliantly and will have his further medication performed at the hotel and will be taking rest for a few more days in Delhi, said the Tibet.net report. The 83-year-old exiled spiritual leader of Tibet has remarked that following his three-day stay at the Max Hospital in Saket, New Delhi, he was “Now almost normal”. Addressing the media after leaving the hospital, the Dalai Lama thanked Tibetans in Tibet and exile for their prayers and wishes which had undoubtedly helped him recover faster, the Tibet.net report cited him as saying. On Apr 11, the Dalai Lama’s spokesman Tenzin Taklha had said the 1989 Nobel Peace Prize winner was already back to his “normal routine” and doing some exercise, reported the AFP.